TOPIC | [S/T] Lair Purging. Open! [center][img]http://i.imgur.com/EQOSFmv.png[/img][/center] I plain and simple do not have any self control when I see a pretty dragon in the AH or in a trade thread and because of that my lair is quite....haphazard. I have some specific breeding projects in mind and I need to make some space. Some of my dragons I am getting rid of are special or just pretty, in my eyes at least. I am willing to part with them for Treasure, Gems, dragons I am looking for or apparel I like. [center][img]http://i.imgur.com/6aTiMuk.png[/img][/center] [b]FAQ & Rules:[/b] [LIST] [*]Most of the dragons are named, some hatchlings may not be [*]I have no issues with whatever you do with the dragon once it is yours, rename, exalt or anything. [*]If RP is your thing, like it's mine, we could write letters back and forth between our dragons, if your dragon wants to stay in touch with the clan. [*]That's about it. I am pretty flexible with making deals and taking mixed payments. Prices are negotiable. [*] I will take gems at a 1:600ratio [/LIST] [b]Dragons or Items I would take as trade:[/b] [LIST] [*] A female official Zephyr Dancer that is registrable and that can breed with #[url=http://flightrising.com/main.php?p=lair&tab=dragon&id=104964&did=18429095]18429095 [/url]and #[url=http://flightrising.com/main.php?p=lair&tab=dragon&id=104964&.did=18444788]18444788[/url] [*] A Spiral male that is Seafoam Iridescent, Spring Shimmer and Aqua. 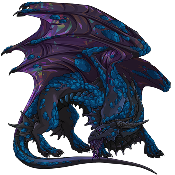 He has to be breedable with #[url=http://flightrising.com/main.php?p=lair&id=104964&tab=dragon&did=17338785]17338785[/url] [*] Male and Female (not related) any species, Gold Crystal, Gold Facet, Gold [*] Almost any Silk, Filigree or Flourish apparel [*] Sword and lamp apparel (I'm dreaming..I know) [*] Tri-Color Scatterscroll or any Genes (still dreaming..) [*] Baldwin supplies [*] Eggs [*] Show me pretty thing and I'll let you know :) [/LIST] If I ever list anything that was gifted or traded, please let me know. I honestly have the worst memory, I am getting better at tracking that but I make mistakes. 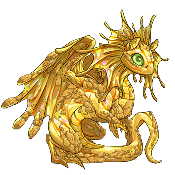 I plain and simple do not have any self control when I see a pretty dragon in the AH or in a trade thread and because of that my lair is quite....haphazard. I have some specific breeding projects in mind and I need to make some space. Some of my dragons I am getting rid of are special or just pretty, in my eyes at least. I am willing to part with them for Treasure, Gems, dragons I am looking for or apparel I like. I have no issues with whatever you do with the dragon once it is yours, rename, exalt or anything. If RP is your thing, like it's mine, we could write letters back and forth between our dragons, if your dragon wants to stay in touch with the clan. That's about it. I am pretty flexible with making deals and taking mixed payments. Prices are negotiable. If I ever list anything that was gifted or traded, please let me know. I honestly have the worst memory, I am getting better at tracking that but I make mistakes. Here are the dragons I have either sold or gifted from this tread.